The Apple iPhone 5s has a global score of 8.44, which is a little bit better than the Moto X (2014)'s overall score of 8.31. Apple iPhone 5s is an older cellphone than Moto X (2014), but it is thinner and noticeably lighter anyway. Apple iPhone 5s counts with iOS 8.x OS, and Moto X (2014) works with Android 5.0 OS. 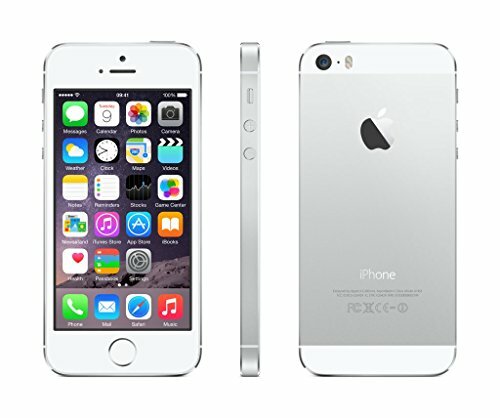 The iPhone 5s features a bit better performance than Motorola Moto X (2014), because although it has an inferior number of cores and slower and 1 GB lesser RAM, it also counts with a 64-bits processor and a faster graphics processor. Moto X (2014) has a little sharper display than Apple iPhone 5s, because it has a much higher resolution of 1920 x 1080, more pixels per inch of screen and a bigger screen. Moto X (2014) takes just a bit better photos and videos than iPhone 5s, because although it has a tinier camera sensor, and they both have a same size aperture, the Moto X (2014) also counts with a back-facing camera with lot more mega pixels and a way higher (4K) video definition. The iPhone 5s features a very superior memory capacity for applications, games, photos and videos than Moto X (2014), because it has 32 GB more internal storage. Moto X (2014) features just a bit better battery performance than iPhone 5s, because it has a 2300mAh battery size instead of 1570mAh. The Apple iPhone 5s and the Moto X (2014) cost the same, , making it easy to pick between these phones.